Linhai Aeolus 300 Clutch and bell from Malossi. This set up will improve your ride with powerful takeoff and steady top end with much better response than stock. The Linhai 300 is a clone of a Majesty 250 which is only sold in Europe, Yamaha Xmax 300 is offered in the USA. 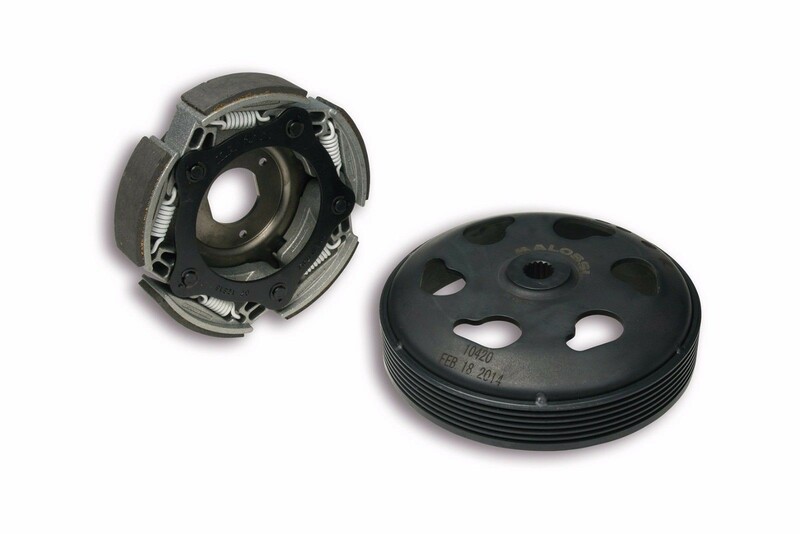 This clutch and Bell set up is also for several other models from Yamaha like the Majesty and Xmax 300. When used with a performance weight change in variator with Dr. Pulley Sliders or variator kit even more balanced performance is achieved.